Happy Easter! Praise the Lord He is Risen!! What a wonderful way to start the week in celebrating that Jesus is Risen and has made a way back to God for us, if we will only accept his free gift of eternal life and turn from our sin! Yall, Her images are stunning, absolutely stunning! Beautiful storytelling, phenomenal compostion and gorgeous soft muted pastel tones and spectacular bnw conversions. And that's not it....Ya'll this lady is so fun to talk to... a true sweetheart, beautiful inside and out. Go check her out on IG like right now, like seriously! Her profile picture is stunning and her smile just exudes pure joy and hapiness... and as you'll see after reading this, so does her personality. Enjoy getting to know Cami Turpin! So this is kind of funny, because it was sort of a reality TV show! HA! When my first baby was about 10 months old, I was flipping through channels and I stopped at a trainwreck of a reality show and could not look away for a while. 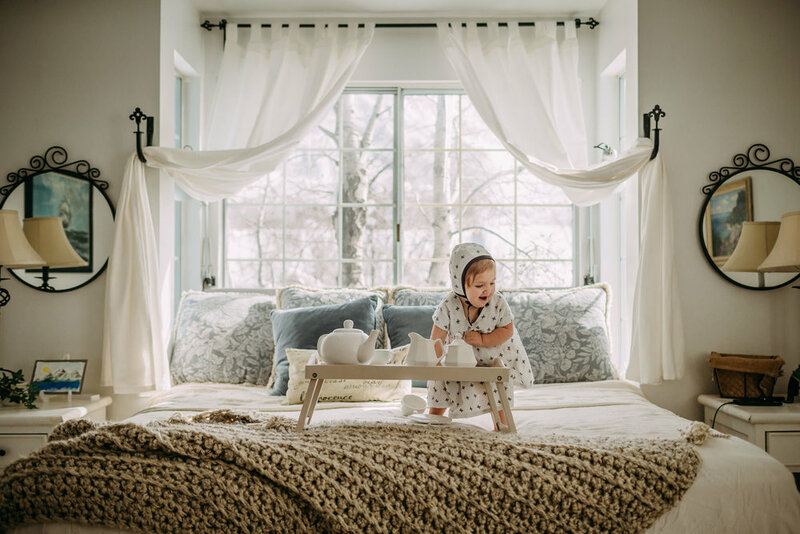 She had the most garish, horrible, tacky home, but when she went into her nursery, there were these giant, gorgeous, black and white, square close-up detail shots of her son that were just so gorgeous. I wanted those of my son. So I took my point-and-shoot low-res (probably first gen) digital camera and took some (with the flash!!) in my living room. HA! I turned them greyscale and made a little collage and I just loved it. About 5 years and two kids later, a friend of mine (http://www.jeritidwellphotography.com) saw a little photo book I'd put together and told me I had a great eye for photography. (Can we just all blow her kisses for seeing THAT through my horrible shots?!) She started a little church group of ladies who wanted to learn photography and taught us about composition and manual exposure and processing. I bought a Canon Rebel and started devouring photography books and everything she taught me and I was totally hooked. She was a mentor and inspiration to me in a time when there were not a lot of online resources, and her influence has been absolutely invaluable. That was 10 years ago! HA! I keep getting asked this question, and I never know how to answer! This time I'll choose what I'd LOVE for my work to be: Emotive, Fun, Real. I have been casually taking family portrait clients for over 8 years and even did real estate photography for a couple years, but I have recently made a switch to lifestyle family and newborn and really started taking my business seriously, so I am basically starting over! I also just started doing fine art school portraits, and I am just loving it. But personal work is where my heart is and where the bulk of my work is. I LOVE that I get to just have fun and try EVERYTHING in my personal work because it's just for me. It makes my Instagram feed a giant mess of whatever, mixing client work with crazy photography tricks and almost-studio type portraits, but I love them all. I also think all my experiments in my personal work just make my client work stronger as I continue to learn new things about light and composition and processing. I don't have rules about what I shoot, except that I am just done shooting what I don't love. I feel like I'm really just awakening to my creative side with photography, so I haven't really think about a specific project. I think right now my dream is to have a never-ending supply of willing models and new ideas to try out, and I kind of do! Because of the amazing photography community I didn't know existed until about 6 months ago on Instagram, Facebook, and education sites, I have a constant stream of ideas and assignments that keep me shooting! And as for willing subjects--it's true my kids are NOT super happy about it, and they are just growing up. My littlest still loves me to take her picture as long as she doesn't have to stay still, and even sometimes sets up shoots for me. (She understands light amazingly well!) But also, my sister is a pattern tester and is constantly sewing new and fun things she needs to take photos of and always invites me to come to the shoots. So I have a whole other family of little ones and darling clothes and new locations to shoot without even having to try. I just combine those with whatever technique I'm working on and I get some of my favorite shots ever out of it. I've also been doing a "Camera Day" once a month. This is a little different than a Day in the Life, because it's not necessarily documenting my life. I just keep my camera with me all day. Depending on what I'm working on, I get different results. Sometimes I'm looking for art, sometimes light, sometimes documentary, and it's amazing what I get and it's an incredible journal. And I'm all about journaling. I've missed one month so far, but I'm also NOT about guilt in journaling or photography, so it's ok.
As for a dream shoot--one thing I'd really like to do before it's too late is take some really real and emotional self portraits with my girls, especially my littlest. I've been trying each Sunday to get some with my 4-year-old and she thinks it's hilarious to push the button and run, so that's how we do it. I think having a year of those shots would be amazing, and maybe I'd get where I want with "the shot" by the end of the year? I have actually done some NICU photos over the years for a couple of my sisters (I have a lot of sisters!) who had multiples, so when a family I knew asked me for recommendations of photographers in my area who could do infant photos of a baby who they were going to have to let go of soon, I told them I'd do it myself. I ended up spending 8 hours in the hospital and captured not only their first family photos and the mom getting the sweet baby dressed for the very first (and last) time, but I also witnessed and captured the moments the family decided to extubate, the process of letting the baby go, and moments of relief and grief afterward. It was an amazing, spiritual, and heartbreaking experience to capture the entire story. The grandma told me later that she thought my being there and taking photos actually helped the young mom realize the reality of the situation and make the decision she'd been putting off to let her suffering daughter go. I was able to keep it together during the time I was there (I'm good in a crisis), but I spent the next 2 days crying while I edited the images. It was a difficult and emotional experience. I can't do it very often right now because I've still got little ones at home and you just have to be on call and who knows for how long, but I think it's something I'd like to do for families sometime in the future. It really taught me how powerful photography can be in personal healing. Seriously, this is like choosing one of my babies! I am constantly getting my new "favorite" shot. But I think maybe if I had to choose from a strictly emotional standpoint, I would choose this photo ( above) of my oldest Jeff and my then-littlest Jane. I took this photo in 2008, one month after I bought my Canon Rebel and started shooting manual. At that point I hadn't taken any classes in capturing connection, no one had told me to try different perspectives, I hardly knew anything about anything. I was shooting from the heart. 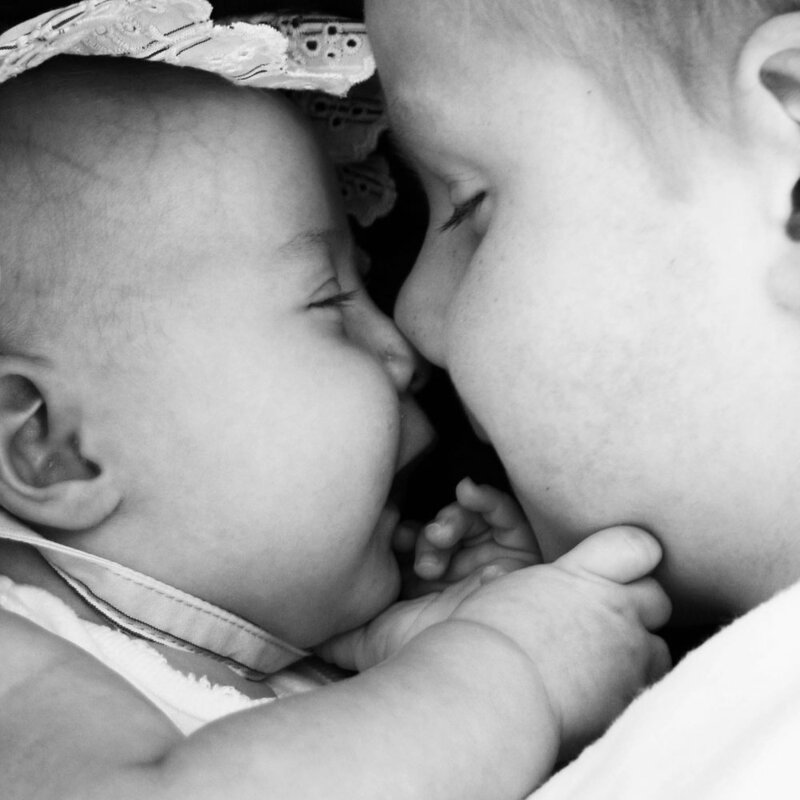 I got a few precious shots I just loved of my boys, who were both diagnosed with autism at an early age, with my new little baby girl. With autism, there is not always a lot of emotional connection to be had, as you may know. So the way they just loved their little sister made my mommy heart happy and gave me hope for their future (which has been amazing). See how photography can be healing?! In fact, I still love SO many of the shots I got in my first month of photography and I'm still proud of them. Do I absolutely adore my recent personal sessions that were technically challenging and beautiful and fun? YES! But these first moments of photography hold a special place in my heart. Looking back at those made me realize I needed to get back to those emotional connections in my client sessions and changed the way I shoot now. Shall I be a broken record? Shoot EVERY DAY! Or most days, cause, no guilt. I took some years off from shooting a lot when things were really hard, and that's ok. It wasn't my time to let myself be immersed in photography. But the real thing is, you have to be passionate about it. If you just kind of take a class and don't put in the work or care about it, you just won't get it. But if you put in a little bit of effort at the beginning, and stop being intimidated by the technical stuff, it will all click and you'll suddenly be shooting better than you ever thought you could. That's when the fire can start and you can be inspired by other photographers, take classes or try new things, start personal projects, and after a while, your challenge will be balance so you don't become obsessive and forget everything else in your life like me! HA! Oh, and buy a 50mm 1.8 for your starter camera! Just DO IT! Well, I have been a private music teacher and a preschool gymnastics teacher for years, so I'm sure I'd still be doing that (but I'm quitting all those soon to just focus on photography). However, I went to school for editing and did that for years for publishing companies, tech companies, and a legal publishing company. The original dream was to have my own magazine or publishing company. I actually think editing is a LOT like photography. I focused on editing because I knew I was better at taking something that was already created and making it better or more understandable than I was at actually creating something new. Isn't that kind of like photography? I see something, or feel something, and I want to capture it and make those moments and emotions available and understandable to other people. I change them so much after I use them . . . I always love the ones I get from other photogs during classes! And lately I've been using SMAL Wild a lot and then changing them drastically. HA! Besides my teacher/mentor Jeri at the beginning, I have to say Samantha McBride created an awakening and self discovery in me during her Clickin Moms Breakout (my first one) that started my recent obsession, Nicole Houser really made me start pushing myself with light, Bethany Sams has client images that make me actually cry and made me realize I can love my client sessions as much as my personal sessions (and I do), Elena Blair gave me confidence that I could actually be a real photographer and business owner at the same time as being a great mom, Natalie Greenroyd assured me that my fun and "tricky" shots are indeed real photography and encouraged me to keep pushing myself to new places, and there are so so many others that inspire me ALL the TIME!! I actually feel bad even mentioning these ladies because there are so many I am inspired by and learn from all the time. Ya'll isnt she great?! OMG go check out her Click Daily Project at the link above too. HOLY SMOKES!! Amazingly inspiring work!!! Thank you so much for letting us get to know you better Cami!